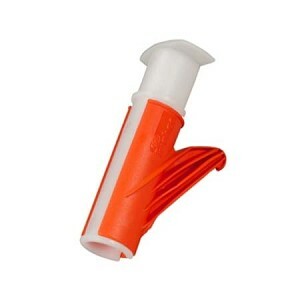 Home>Wire Loom>Loom Tools > Orange Loom Tools 3/8" - 2"
A perfect wire loom tool to install cables in a breeze. 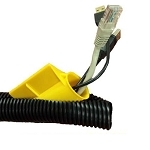 Simply gather the wires you want into the installation tool, then insert the tool and wires into the split loom tubing and run the tool through the tubing. 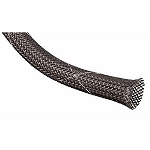 This Wire Loom Tool works great with all tubes sold on this site. These work great for wiring loom. I bought these loom tools to help fabricate electrical harness for a large government contract. Everyone loved them! They save so much time and frustration trying to put wires into split loom. These are quality tools at a fantastic price point. 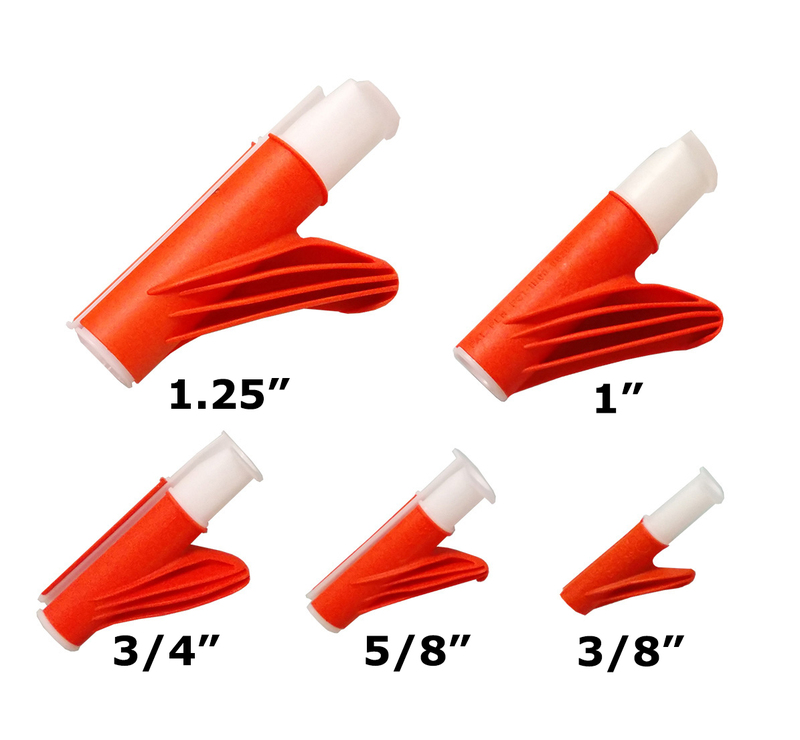 I have an alternative product that I prefer for smaller conduit, but I'm keeping this set as the price is unbeatable and this set includes options for very large conduit. This product is not a great solution if you need to insert wires into a conduit that is mostly full, but that won't decrease my rating (in the case of mostly full conduit, you're better off with a coat hangar, in my experience). For empty or close-to-empty conduit, these are great. If you have to run more than a foot of loom buy this! Great tool, prompt shipping, great price! We used this tool to lay wire in a vinyl track and it worked like a charm. Saved my fingers! Wish I had known about this tool earlier. It would have saved the skin on my fingers and it is a tremendous time saver.